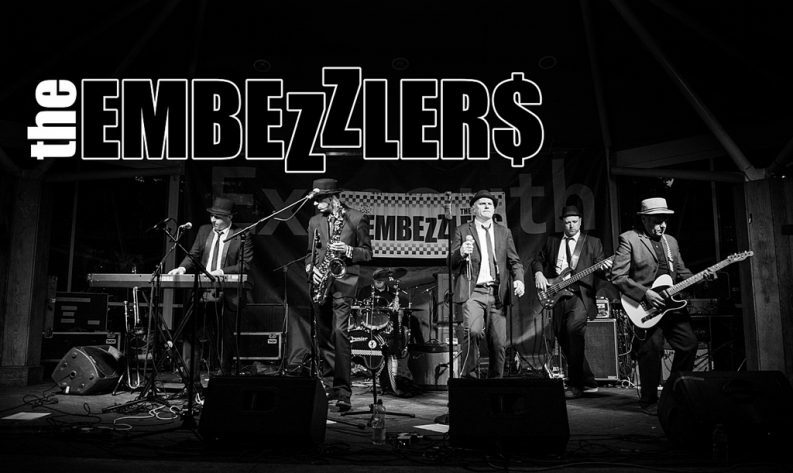 The EMBEZZLERS are a 6 piece, 100% Live, SKA band based in Exeter, Devon. 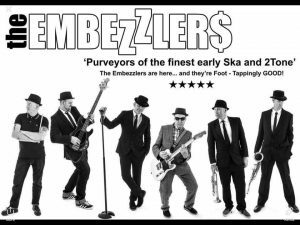 Playing the best in SKA and 2TONE from Desmond Dekker, Toots and Jimmy Cliff to The Specials, The Selecter, Madness and The Beat etc. Oh… and there’s even a tiny little bit of The Clash thrown in for good measure! So whatever your roots… Come join the extended family! 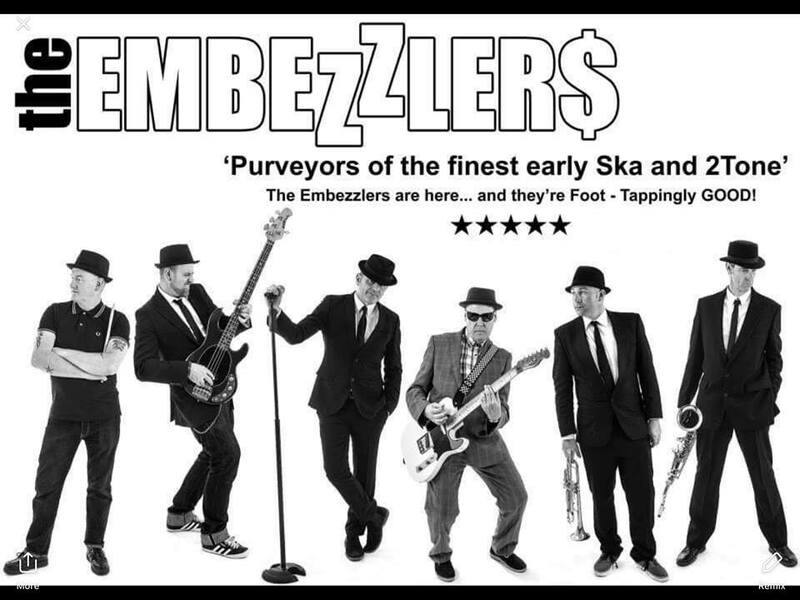 Comprising of a bunch of highly experienced and extremely dedicated musicians , The Embezzlers have every base covered with a top notch horn section, killer keys, perfect off beat strings, crazy tight drums and all fronted by ‘Murph’… Front Man with more energy than a Gallon of Red Bull! If you can keep up with him then you are a true ‘Bezzler’!! !